Because Jane the Virgin is skipping a week, I finally get the chance to talk about something I've kept hidden for a very long time. 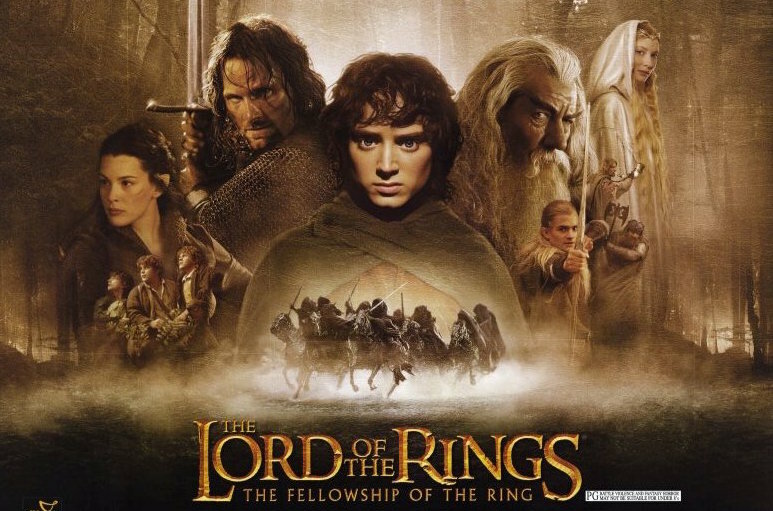 Before a week ago, I'd never seen The Lord of the Rings. It's AraGORN—not Aragogg or Aragon—Aragorn. I get Saruman and Sauron mixed up. And I still don't know this guy's name. But, despite this, all of these creative names show massive world building on the author's and filmmaker's part. Except for Mt. Doom. You live in a place with creatures that have names like Mûmakil, and you give the biggest baddest evilest place on Middle Earth a name like Mt. Doom? The entire second half of the first movie all could have been avoided if it weren't for flipping Pippin and his flipping tossing metal armor down a mine. It creates the chain of events that leads to Gandalf's death. Speaking of Gandalf, he is legitimately Dumbledore but yelling and fighting 80% more of the time. So basically, Goblet of Fiyah Dumbledore. Though I may tease, I love high fantasy, and trust me, I've felt like a traitor for not having seen or read The Lord of the Rings. But now that I have, there's no going back. The music, the magic, the feeling of epicness while watching it? It's unique, it's cinematic, it's beautiful. And guess who's watching The Two Towers next week? *sniffles* BUT PIPPIN? D: PIPPIN IS OUR BABY THOUGH. Also, I love Gimli... He is so funny. And I like him with Legolas and their friendship. Aaaaand yeah. Gandalf is okay.